Run. Quick. Pluck the blackberries right this very moment before they are gone for another year. Oh, I do love them so. Delicious and delectable. More of a bother to pick than the blueberry, perhaps this was the reason naughty Peter Rabbit would go for the onions and cabbages in Mr. McGregor’s garden. Should have gone for the blackberry and stayed out of trouble. “so hard for it, honey…” This ain’t no work for wimps. 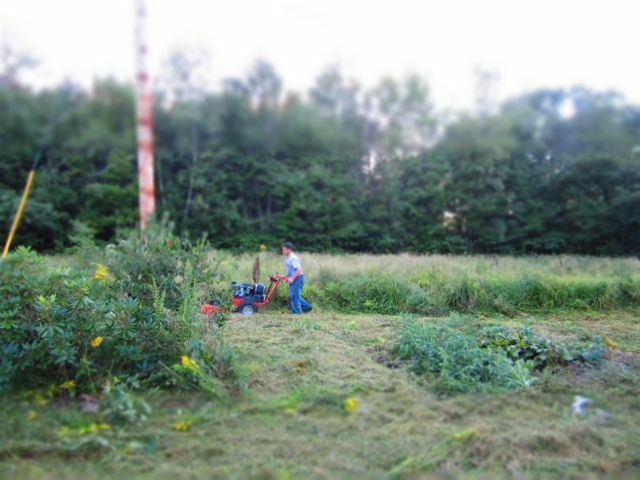 Mowing down the blackberries is man’s work that leaves the man, spent. Not to worry, the blackberries grow back with a vengeance. Were we here for a recipe? Oh, right. 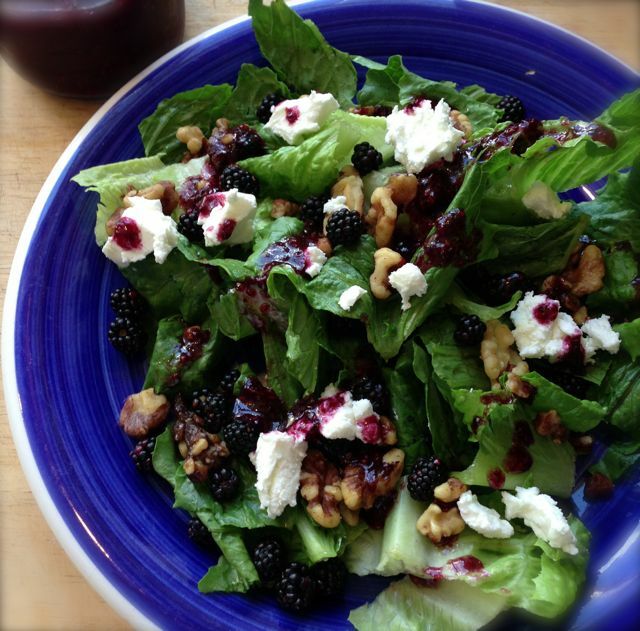 This comes directly from Annie’s-Eats and is a salad recipe I saved until just this very moment in time when the blackberry was in season – ta da! Blackberries, goat cheese, and spiced nuts, oh my! and if that’s just too much to handle, sprinkle on your granola and call it a day. 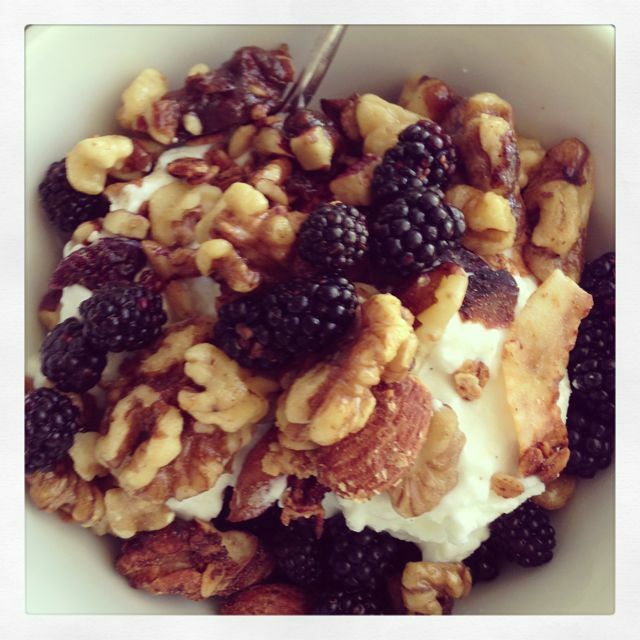 This entry was posted in health, local, Weekend Recipe, yum-yum on August 23, 2013 by maisymak. I love blackberries! 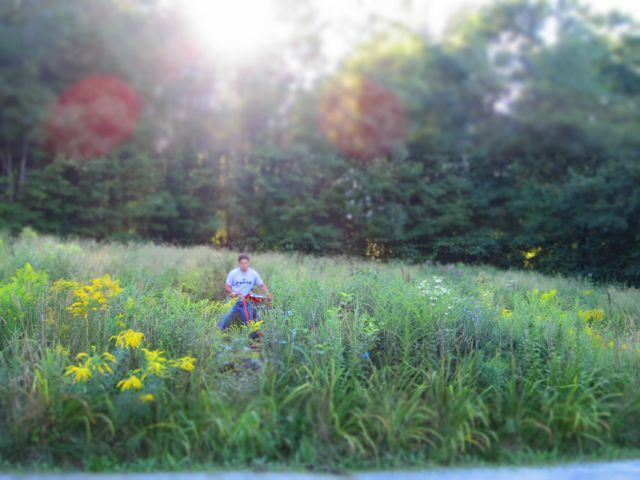 We missed out on them last year–hit the local farm too late in the season. Thanks for the reminder 🙂 That salad is gorgeous. We love blackberries too! The canes are taking over my garden. But, oh the Japanese beetles have done a lot of damage this summer. Poor leaves, only lacy remnants now. 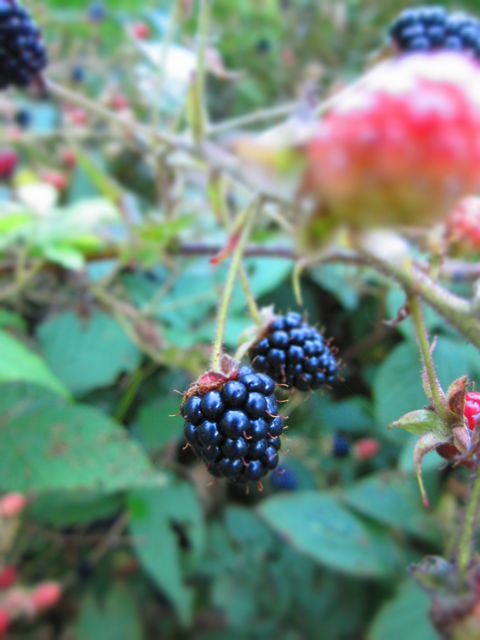 But we still have blackberries- new for me this summer, the cobbler! Yum!